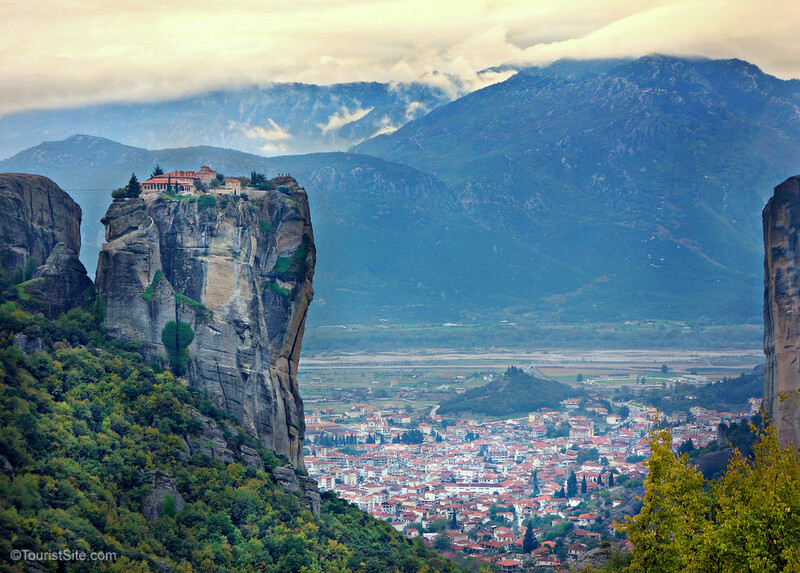 About four hours northwest of Athens is Meteora, where unique geological peaks form a dramatic and beautiful natural landscape. 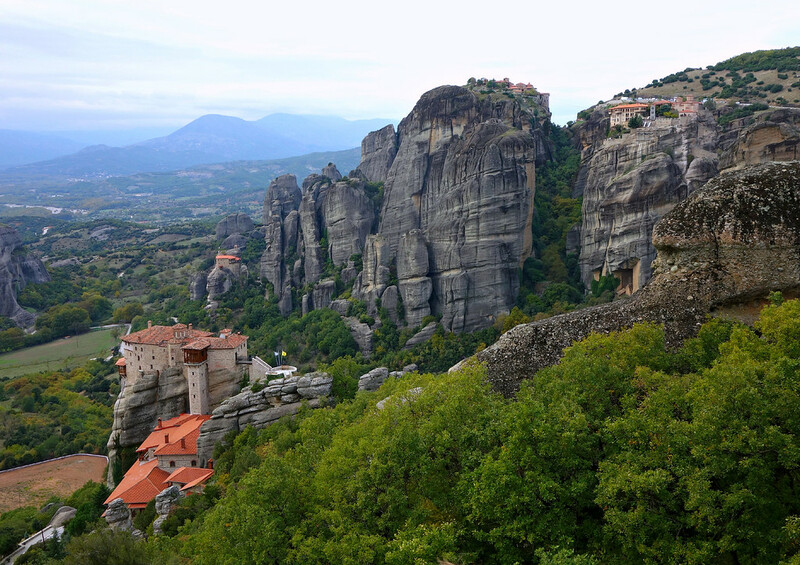 Upon these seemingly inaccessible peaks, monks in the 11th century began building monasteries. 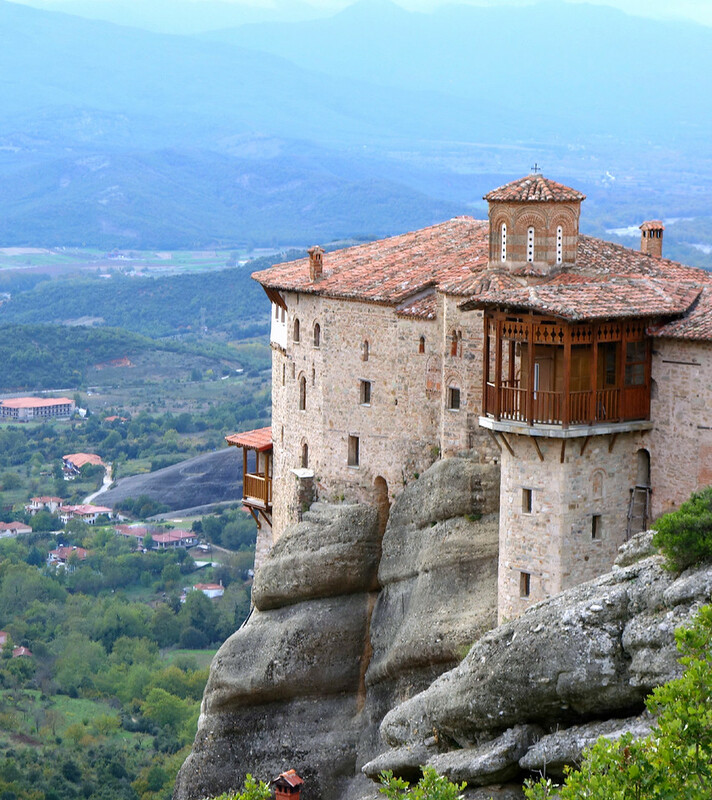 Eventually twenty-four of these monasteries were built, and it’s no surprise that Meteora’s Monasteries in the sky are included in the UNESCO World Heritage List. 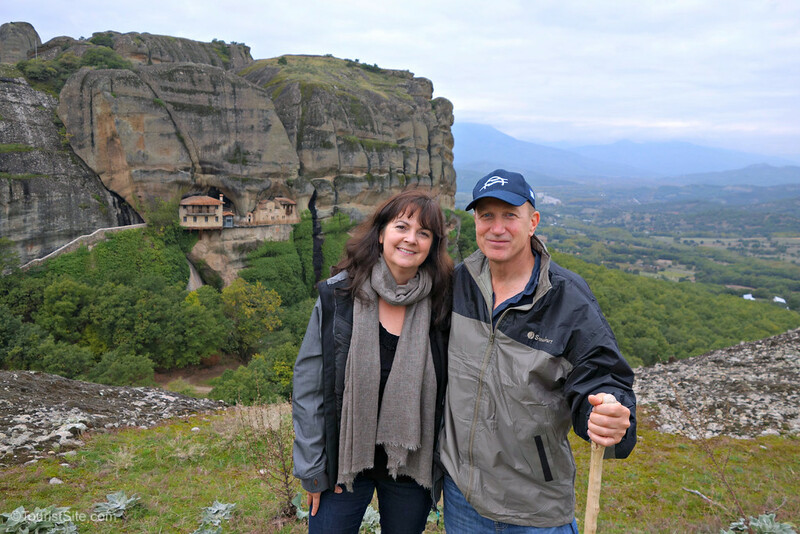 We were so glad we had the opportunity to visit this magical and off-the-beaten-track part of Greece. After the monasteries were completed, visitors arrived by extremely long rope ladders or were hoisted up in baskets. Once these devices were pulled up, though, the summits became inaccessible. In the early 20th century they were made more accessible as bridges were built between the pillars, and steps were carved into the rocks. 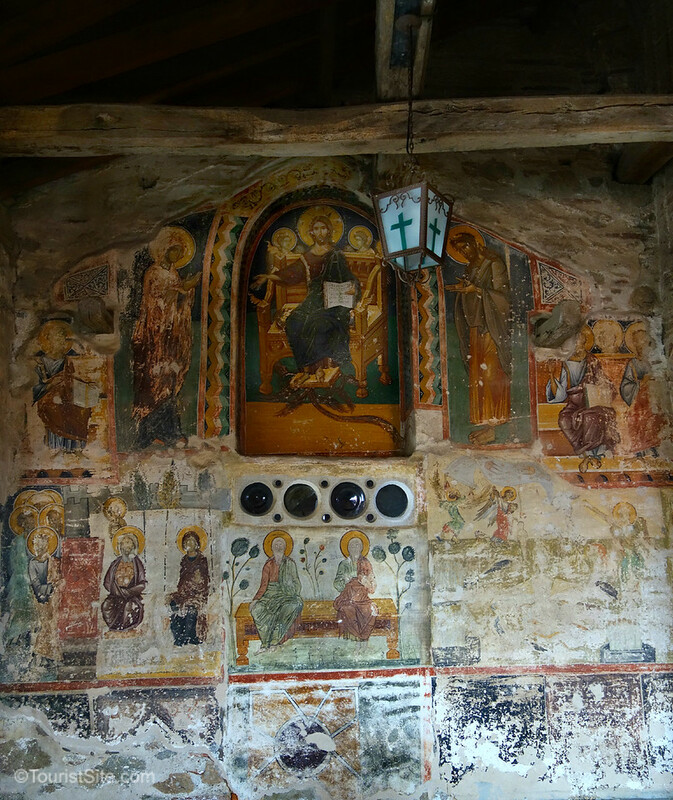 A small sample of the frescoes found in the Great Meteoron monastery. The area has a special peacefulness, and the residents and visitors value it as a spiritual place. It’s no wonder the early monks settled here to feel closer to God. Today it’s possible to visit six of these monasteries, with amazing frescoes, and also get a glimpse of how the monks lived in isolation hundreds of years ago. The monasteries topping Meteora’s peaks seem to spring so naturally from the unique geological formations. The same other-worldly landscape that attracted the ancient monks attracts both hikers and spiritual pilgrims today. Hiking with our local guide was great as we heard stories of the area and saw hidden gems we wouldn’t have seen on our own. This 11th-century church is also a must-see while you are in the area. No photos are allowed, but the church is filled with amazing byzantine frescoes, and more are being discovered. 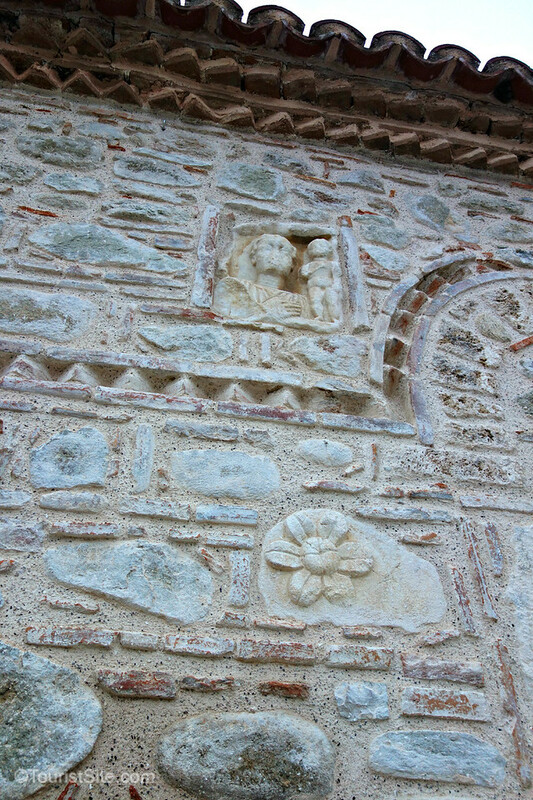 Surprisingly, the church was constructed with relics of an ancient Greek temple dedicated to Apollo embedded in its stone walls. Meteora or the town of Kalambaka is a great place to get off the beaten track, and see a unique and special part of Greece. It could also be a good base to see Delphi and Mount Olympus, as they are within 2-3 hours drive. Besides hiking and visiting the monasteries, there are also other outdoor activities in the area such as world-class climbing, river rafting and horseback riding. The food in the area, with excellent fresh local meats and produce, was fantastic – especially after an active day outdoors. 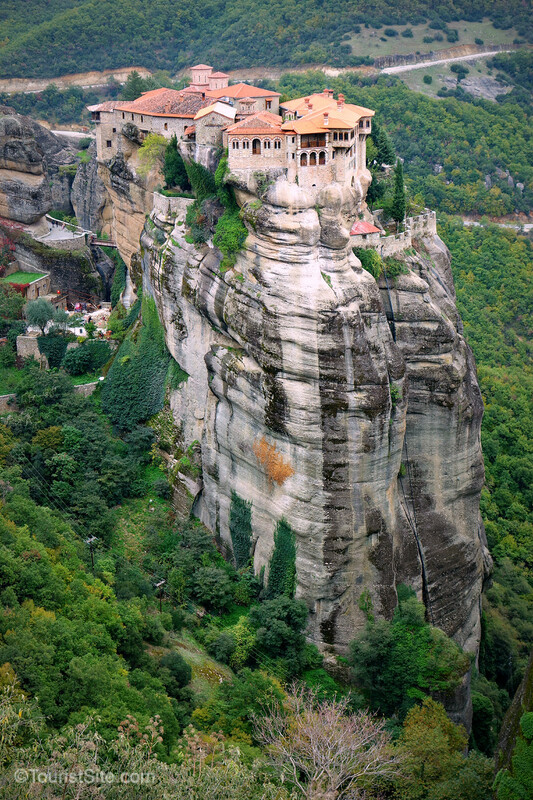 To experience Meteora as we did, I would recommend contacting the Visit Meteora office in Kalampaka. The trails are generally not sign-posted, so only experienced hikers should venture out on their own. 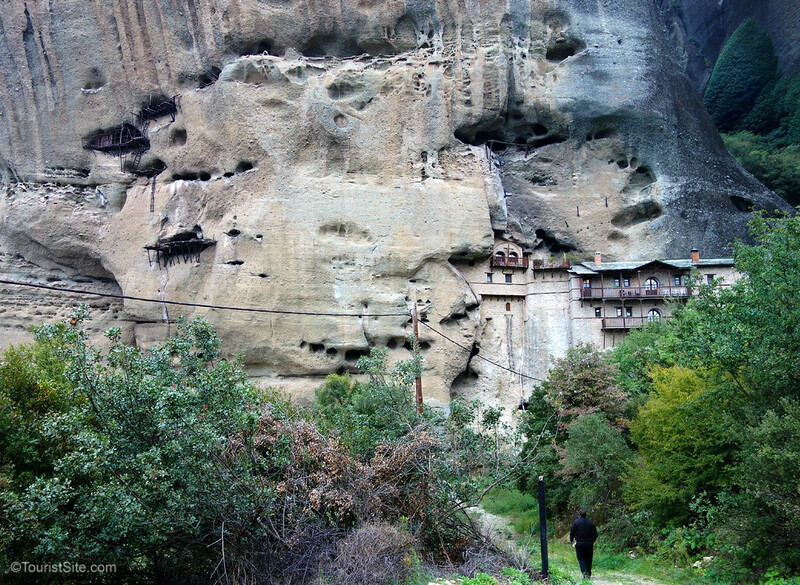 Visit Meteora offers guided tours and hikes, but will also assist you with maps and information if you wish to hike on your own. Our excellent adventure in Meteora was facilitated by Visit Meteora and TBEX. All opinions are our own.